This recipe is a wonderful holiday twist on the old fashioned waffle. Sweet and spice come together in a light and fluffy waffle. The recipe calls for sweet potatoes, but feel free to use yams for their bright orange color. 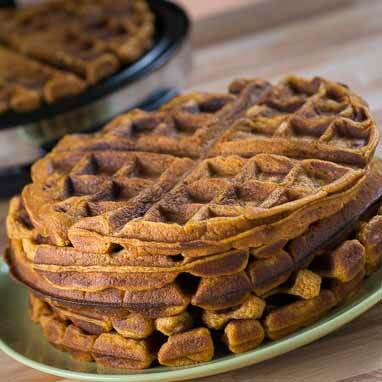 If you need to keep your waffles warm, place them in a 200°F (90°C) oven until ready to eat. Portion and cook times are based on a 7 inch waffle iron; your portion and cook times may vary.